If your skin is anything like mine, oily T-zone and dry elsewhere (especially during winter), finding a good, solid foundation routine isn’t easy. I don’t know how many foundations I’ve went through in the past year alone that I had high expectations for and the results fell way short. I incorporate the above products in my current daily foundation routine to keep my oily skin in check and effortlessly cover everything else! Colorescience Everything Matte Set .:. The primer included in this is my #1 favorite primer of all time. It’s an oil-absorbing formula that diminishes pores the second its applied. It has a really light tint and creates a soft-focus matte finish. I give this primer full credit for keeping my face shine-free all day. After I apply primer I apply a generous amount of mineral sunscreen with the Sunforgettable Mineral Sunscreen Brush. SPF 50, sheer and keeps your skin safe from UVA/UVB rays. Since it’s a sheer powder, I also consider it like a second layer to absorb any excess oil that isn’t contained from the primer, and it’s great to throw in your bag and reapply throughout the day. 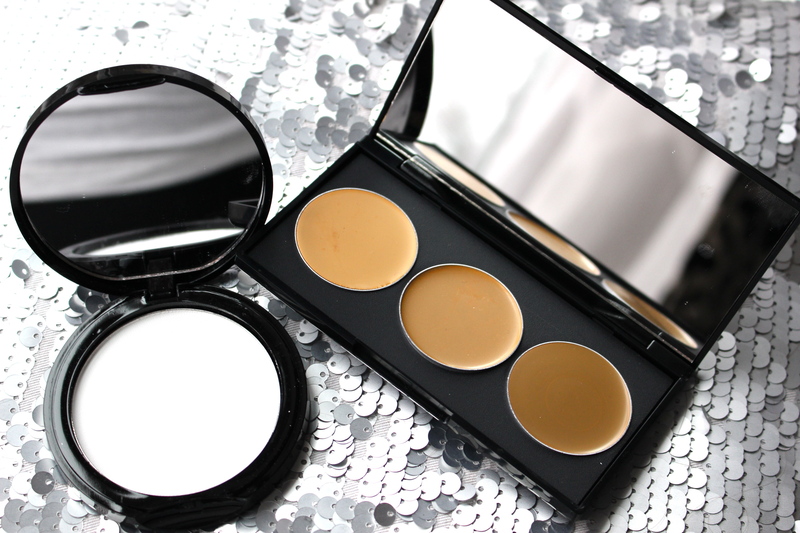 This set also contains a Mineral Corrector Palette which I don’t currently use (the color is too dark for me now). 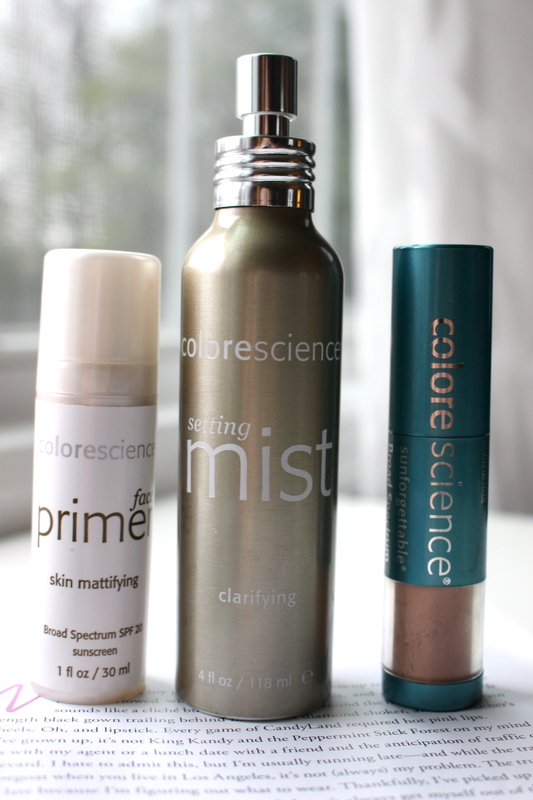 Lastly, the Clarifying Setting Mist.. this stuff only adds to my love for Colorescience. It soothes the appearance of redness while balancing oiliness and gives your skin an antioxidant boost. No matter what foundation you choose, always use a quality primer & setting mist, they make a world of difference. Kett Cosmetics .:. My only experience with Kett Cosmetics was having airbrush makeup done for a wedding I was in. My skin looked flawless and stayed completely matte the ENTIRE night, not even the slightest bit of shine came through. Since their airbrush systems aren’t in my budget, I decided to try their Fixx Creme Palette. It’s completely customizable, which is totally necessary for those of us who have trouble finding foundations that actually match our skin. I chose 3 of the neutral tone shades that I felt matched best with my skin. I love this palette because it can be used to mix & match for foundation, concealer, highlight & contour. I usually apply the first to shades (F-N2 + F-N3) as foundation, the first shade (F-N2) as an under eye concealer and the third shade (F-N4) to contour. The cremes are silicone free, paraben free and fragrance free and hold up really well against oily skin. 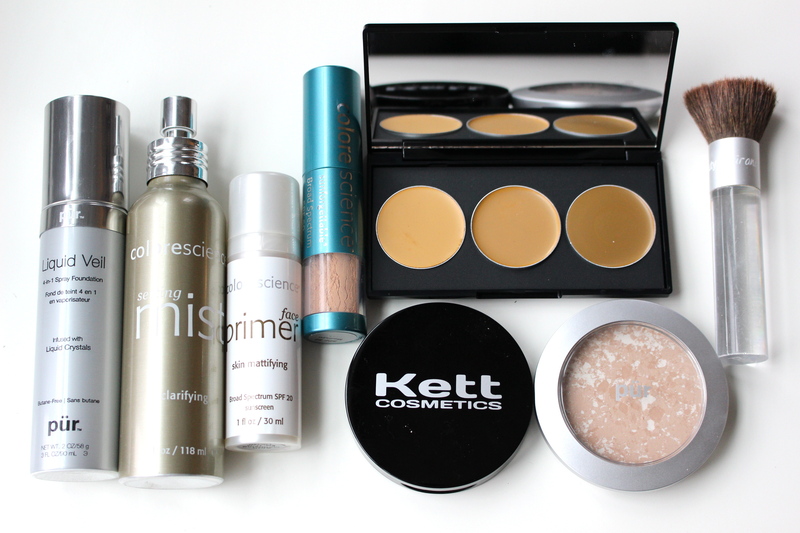 I set everything with the Kett Set Pressed powder, it’s translucent and doesn’t leave an ashy finish. PUR .:. 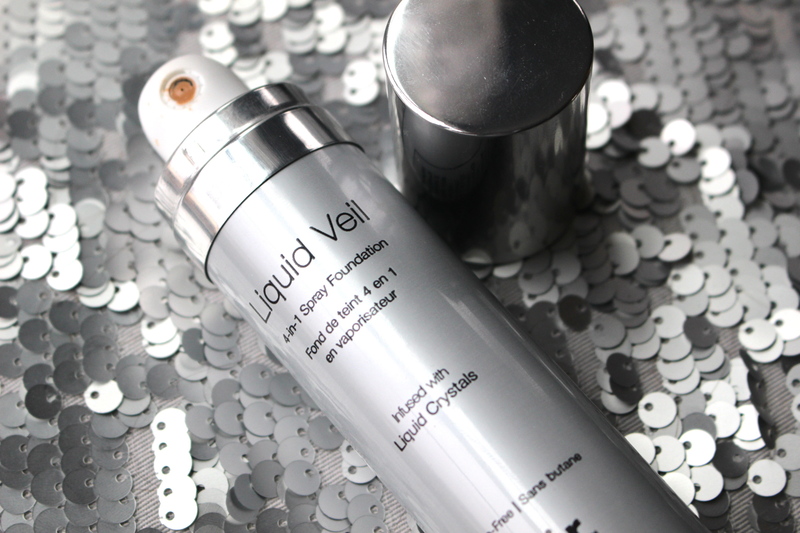 Liquid Veil 4-in-1 Spray Foundation.. this is the closest thing I’ve found to airbrush makeup. It goes on so smooth and effortless and blends out well and covers EVERYTHING. I always use a setting powder or the Balancing Act Oil Control Powder to completely set it and it create a flawless, matte finish that lasts hours. My ONLY complaint with this is the color, I have it in shade medium which is my usual color but this tends to look a little dark. I’m willing to do a little self tanning, so I don’t look so pale 😉 and so I can wear this foundation daily, it’s that good. I use the oil control powder throughout the day for any necessary touchups, a very little goes a long way. 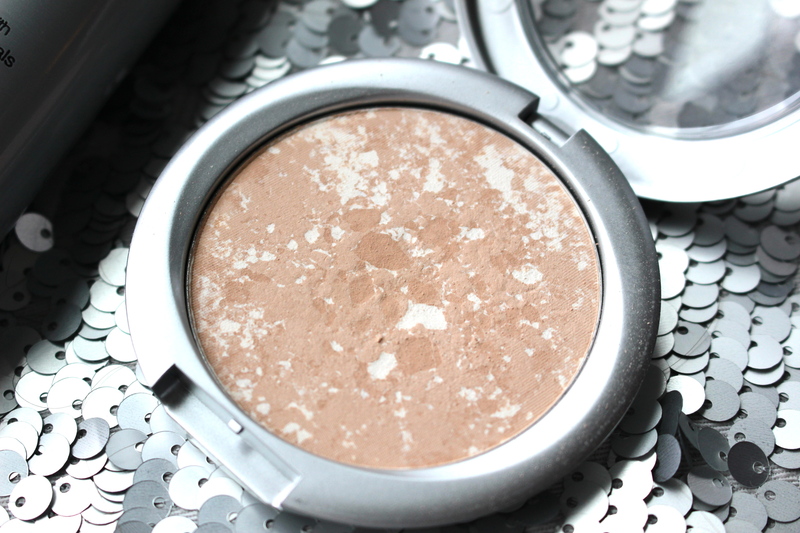 It’s a blend of mosaic sheer neutral tones offering very light coverage. I’ve worn it alone on days I’m rushing and don’t have time to do the whole lengthy foundation routine but still want my complexion to remain shine free. 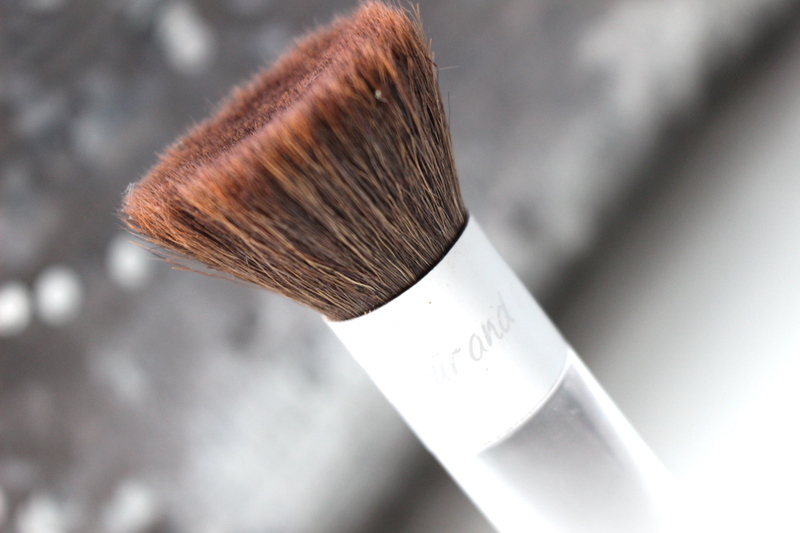 Because the tools you use to apply makeup are just as important as the actual makeup, I use the Pur Minerals Chisel makeup brush. This brush isn’t designed specifically for any of the above mentioned products but works perfectly for me no matter what foundation I choose. It’s probably like 6 years old – I am not even joking, I bought it at Ulta when I bought my first ever Pur foundation and with proper care & cleaning, it’s lasted me this long! They all work really well!